These earrings are sassy and stylish and feature a single Swarovski crystal clear drop for understated elegance. 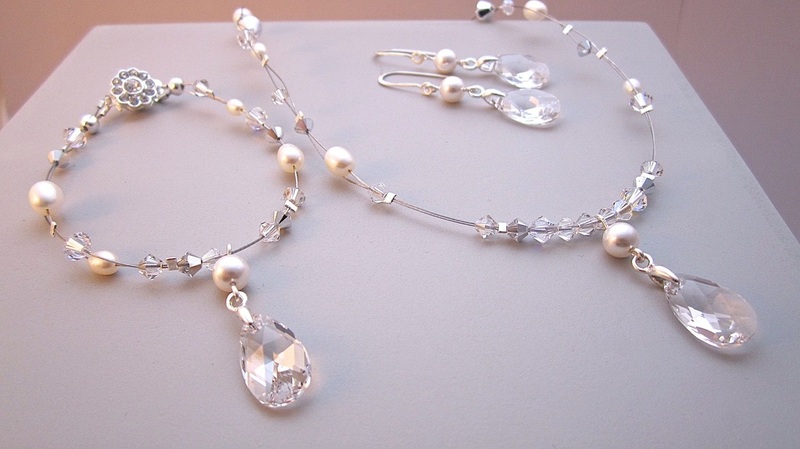 A natural beauty that reflects the light, would also be perfect for a beach wedding. 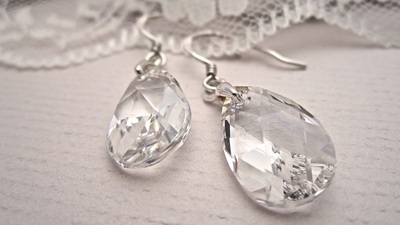 DIMENSIONS – The crystal drop is 16mm and the earrings drop is 2cm in total. The ear wire is sterling silver. This necklace features a stylish single Swarovski crystal drop for understated elegance. The PEAR drop measures 22mm. MADE TO ORDER – This item is made to order. DIMENSIONS – The crystal drop is 22mm, and the sterling silver snake chain is 18 inches long. The clasp is diamante silver plated over brass.